What do you know? Stick to what you know. He placed the story back in my folder, and we never discussed it further. I suspect that teachers, like parents, have a tendency to unwittingly bequeath their unresolved issues to the next generation, and I’m as guilty of this as any other. Around the ten-year anniversary of 9/11, I’d been teaching writing at the college level for several years. My freshman composition students were developing oral presentations, for which one of them had chosen to study the media’s coverage of 9/11. She asked me after class one day if she could, or should, show graphic video footage from the attacks, “or would it be too upsetting?” I, the authority, stared at her silently for a moment before saying, “I don’t know,” and together we pondered the question. Eventually, we decided she should show some footage, but only after offering what’s become known as a “trigger alert” beforehand. The following week, she played a short clip of the towers collapsing, with audio of panicstricken voices fleeing the scene. Seeing and hearing it in class like that—co-witnessing it within the classroom community, with my students—sparked something in me. I went home that night and lay in bed with my laptop, scouring YouTube, gluttonously consuming the harrowing images I had somehow managed to avoid for ten years. My husband came home and saw me—with our dog at the foot of our unmade bed, chin on paws—and asked me what I was doing. When I told him, he asked me why, and I said I didn’t know—because I didn’t—as I remained transfixed in a frightening mix of horror and relief. After some reflection, the “why” has become clearer: in part by stunting my own urge to write about 9/11, I had to a great extent avoided engaging with it at all. I’d internalized a message that I wasn’t authority enough to speak—or even think, really—about complicated political matters. And worse, as a teacher, I was perpetuating the same cycle of avoidance, steering clear of difficult subject matter in the classroom. By finally inviting it back in ten years later, I’d reverted to a less intellectualized, and more primally emotional, state—from which, fortunately, I would begin to build a more articulate frame of reference. In the academic year of 2012-13, engaging with large-scale socially, politically, and emotionally-charged tragedies such as 9/11 became a persistent, recurrent, visible, and deliberate thread throughout my freshman composition courses. This thread emerged unexpectedly on September 11 of that year, when the American diplomatic mission in Libya came tragically under attack. The occurrence called, it seemed to me, for an essayistic digression from our normal class activities. We put our scheduled work on hold to read the latest news together on a projection screen, and to respond to it, in writing. After freewriting about the current happenings, I directed students toward reflecting on their individual experiences, thoughts, and feelings on 9/11, 2001. The exercise held multiple functions. For one, I wanted students to make connections between the present and the past; to exercise, experience, and begin to distinguish between two different types of reflection and reaction. More importantly, though, I wanted to engage their emotion—to ask them to bring personal experience and feelings to bear as they began to process and analyze a current event; to use that emotion as a starting point and context for serious critical inquiry. When encouraging these forays into writing through emotion, it’s a difficult job to be the teacher who has to tell a student, for the first time, that her feelings are not nearly as important to good writing as what ends up on the page; or—more accurately—that they’re just the first step. It’s difficult to be the one to tell a student that she is not, in fact, a prophet, endowed with profound wisdom that the world is waiting to hear. A difficult job that someone has to do, maybe. But for those of us who teach writing, how do we do this without silencing the initial impulse that draws the student to writing in the first place; the reason—in the words of Rainer Maria Rilke—that “bids [they]” write? According to composition theorist Wendy Bishop, it starts with believing that they can write— “Fiction. Fact. Personal. Scholarly. The Works” (269). She writes, “We don’t have to go very far to believe—to find that potential in student writing that is there, as yet unactivated—if we rethink our attitudes, expecting to find the familiar profound” (268, emphasis added). This doesn’t mean we need to praise our students for every rough, undeveloped idea they jot down; just the opposite. Instead, we need to teach them—at first, by modeling—how to work the material; how to read past the surface of their own first drafts, to honor (instead of either abandoning or cementing) their strong, initial impulses by asking tough questions, deepening and expanding their vision, “imagining [their] writing into its actual significance” (Bishop 268). As we explored this idea of essaying through communal tragedy—a process distinct from engaging with individual tragedy—some students read their freewrites aloud. They shared stories of having known someone who died, or having known no one who died but having felt traumatized and confused nonetheless. It was early in the semester; students still carried a good deal of skepticism about this required first-year English course. That day, though, the perceived burden of the class seemed to physically lift, as students sat up a little higher, their gazes attentive and seemingly bewildered by this sudden display of relevance. Almost every student thanked me at the end of class, and the experience shifted the entire direction and momentum of the two-course composition sequence. We returned to these freewritten reflections throughout the term, and even in the second iteration of the course the following semester. Several students followed up on these raw reactions and reflections with research—for instance, into the wider effects of the tragedy on the generation of young American children (of which these students are part) who witnessed unprecedented horror on their television screens. Others pursued the topic while writing analytical essays on Jonathan Safran Foer’s 9/11-themed novel, Extremely Loud and Incredibly Close, a book I assigned as an optional reading, among other texts, in response to their clear interest in engaging with the subject matter. I encouraged them to reread and respond to their initial freewrites as a way of scaffolding upon their ideas, to continue posing and pursuing critical questions without losing sight of their initial impulses and reactions—which, in many cases, reflected the intellectual and emotional heart of the matter. In October, the Northeastern seaboard—where almost all of my students hail from, and where I teach—was pummeled by Hurricane Sandy, which caused widespread destruction throughout many students’ hometowns. Students were ready and eager to reflect on their own experiences through writing, so we made space for it in the classroom. This strategy was undoubtedly influenced by my own foundation as a student and practicioner of the memoir and essay, two forms that host a rich—yet often disparaged—tradition of trauma narratives. As a genre, nonfiction has been frequently—and unfairly—charged as a haven for indulgent navel-gazers, or as nothing more than an alternative form of therapy. But what we did that day went well beyond a “get your feelings out and feel better” session (which, of course, can be valuable in its own right). Students had important critical questions to ask: Why did this happen? Will it happen again? Will we be ready? How did the government respond? How did the government’s response to this differ from the response to Hurricane Katrina—and why? How much did we learn from Katrina, and how much will we learn from Sandy? Will my town ever look the same again—and what happens when the site of so many of our personal memories is destroyed and essentially gone forever? We listed these questions on the board and discussed the different types of inquiry required to fully engage with them. Several students went on to pursue these questions further, writing well-crafted personal essays about their experiences. Many drew extensively on research, in addition to poignant, heartfelt, and insightful narrative and reflection. And then, during finals, the calamitous shooting at Sandy Hook Elementary School in Newtown, Connecticut—under an hour away from our campus. At the start of the following semester, after poet Richard Blanco read about “the impossible vocabulary of sorrow that won’t explain/the empty desks of twenty children marked absent/today, and forever” at President Obama’s inauguration, we read the poem together and used it as a launching point for writing. Some students found the poem inspiring, while others felt angered by it—felt it was too optimistic, too hopeful, and they were still too terrorized to allow room for hope. Everyone had something to say about the killings; no individual in the class had been left untouched. Or maybe that’s not exactly true. One student wondered why he couldn’t feel it in the way he believed he should. “Have I become too desensitized?” he wrote. “Are we just so used to tragedy at this point that we can’t even feel it anymore?” By writing the question—by essaying the tragedy—it seemed to me that he had, in fact, begun to feel it. To essay, as any critical discussion of the form will remind us, means, from the French, to try, to attempt, to test, to “make a run at something without knowing whether you are going to succeed” (Lopate xlii). As Robert Atwan writes, “essayism frequently appears in literary works as a resistance to the aesthetic satisfactions of narrative” (34). Overlooking it, as a teacher or a writer, creates a missed opportunity to actualize a draft into what it’s trying to become. And worse, it may also halt a line of critical inquiry that can otherwise guide a student through messy, reactive thought and emotion toward a more realized and mediated state of mind in the midst of witnessing and experiencing tragedy. In April, the Boston Marathon bombings. The horror of limbs flying through the air. Of students frantically calling friends and family members in the Boston area. Some received terrible news on the other end of the line. Again, we halted the normal course of study; we paused to reflect, respond, and engage, to essay the tragedy, to capture our reactions while still raw, uncultivated, and unmined. We wrote about the most recent shock of the Marathon bombings, but we also read—and then wrote— about other large-scale tragedies: the Virginia Tech shootings of 2007, the 2010 earthquake in Haiti, the Japanese tsunami of 2011. To create an impromptu packet of relevant readings, I combed through my bookshelves and reached out to colleagues seeking works that dealt with collective tragedy, and I compiled a collection of short works, including essays by Edwidge Danticat and Jo Ann Beard, and poems by Bob Hicok and Billy Collins—authors who had something to say and had taken the necessary steps in order to say it eloquently, in writing. The point was to gain depth of perspective through the process of analyzing other texts and contexts, but without disregarding or devaluing our own very raw and real, immediate, unmitigated reactions. The results of these endeavors, for almost all students in the class, included complex, wellcrafted, multimodal essays, as well as a rich, memorable process of discovery and exploration. For each student, the essay—as an element, mode, and form—played a critical role in both process and product. We read and wrote smart essays, but more importantly, we took an essayistic approach while doing so, mining the material for deeper insight, making connections among various texts and contexts, pursuing a line questioning as far as we could take it, welcoming instead of shutting down digression. Part of this came from adopting the essayist’s habit of “delving further underneath” (Lopate xxv), of “striking out toward the unknown, not only without a map but without certainty that there is anything worthy to be found” (Lopate xliii), as a teaching stance as well. By remaining open, in our teaching, to emergent digressions—whose chief role, in the words of Lopate, are “to amass all the dimensions of understanding that the essayist can accumulate by bringing in as many contexts as a problem or insight can sustain,” and “scoop[ing] up subordinate themes” in the process (Lopate xl)—we can encourage our students to do the same in their work. The model is relevant beyond composition or creative writing as well. Fiction, in fact, offers a uniquely accessible opportunity for students to engage, essayistically, with tough questions —it provides what scholar J. Hillis Miller describes as a “relatively safe or innocuous” space “in which the reigning assumptions of a given culture can be criticized,” where “alternative assumptions can be entertained or experimented with.” Nurturing the essayistic impulse and elements within a student’s work—even within a fiction course—can result in more complex, meaningful narratives allowing students a “safe” space in which to process collective catastrophe. Now, instead of feeling foolish and exposed when I recall my former teacher saying, “Dear, we all like to write about our feelings when something like this happens…,” I think: Yes, we do. And perhaps—or because of this—we should. 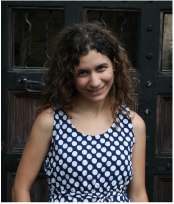 Ioanna Opidee teaches writing and literature at Fairfield University, where she earned an MFA in Creative Writing. Her work has appeared in Drunken Boat, Lumina, Weave, and other publications. As a freelance journalist, she is a regular contributor to University Business magazine and most enjoys writing about music, art, culture, and education.